Every car eventually will suffer a cracked, chipped, or damaged windshield. Depending on the severity, it isn’t safe to drive. If the damage is in the line of sight, it will be a distraction for the driver putting him and other passengers in danger. At 7 Stars Auto Glass San Diego, we will beat any price and offer a warranty. We also have a mobile repair option where we come to you. You can schedule an appointment at your convenience. A trained technician will evaluate the damage and do the repairs. The main things is to evaluate whether a repair can be done or a full windshield replacement. Dings and chips can be filled usually. If cracks are caught soon enough, they may be repaired instead of a full windshield replacement. Therefore, it is important even to have the smallest chip repairs promptly before it turns into a large crack. This can happen at any time but especially if you go over a bump. For your convenience, you can choose to drop your car off at our shop or have us come to you at your home or office. Mobile repair is convenient as you can go on about your day while we are working to make your vehicle safe. Either way, we will give you the best service. 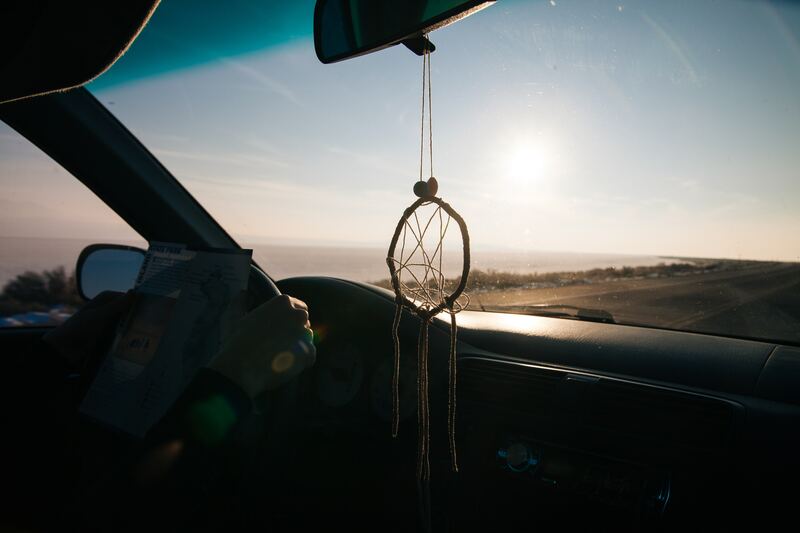 No matter if it’s a chip or crack, a windshield repair or a full windshield replacement, we at 7 Stars Auto Glass in San Diego will give you the best advice on what to do next. At 7 Star Auto Glass San Diego, we are your source for high quality auto glass in San Diego, California. We have been in the auto glass repair and windshield replacement business for over 20 years. We provide quality windshield repair and auto glass replacement services wherever you are and whenever you need it. We carry a large inventory of windshields and windows. We use only original parts. To date, we remain one of the largest independent retail glass shops in the United States. We service all types of vehicles including domestic and foreign as well as semis, trucks and RVs. 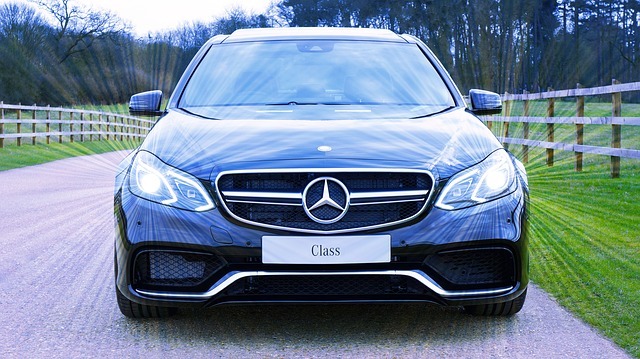 Our reputation is the highest not just for windshield service but also for any other types of glass needs including power windows, mirrors, sun roofs, and side glass. Other services include in-house tinting at discounted prices! This entry was posted in Uncategorized and tagged Auto glass repair, auto glass repair el cajon, cracked windshield, mobile windshield repair, Windshield repair San Diego on February 8, 2019 by admin. Not every car glass repair is done the same. Why? Because not all car glass damages are the same. Every damage is unique. They come in different shapes and sizes. Some are more dangerous than others. Some barely affect the glass. So, these damages must not always be treated the same. Depending on the above damages, an auto glass technician will recommend the best repair or replacement option for you. When the driver is in the car, does the damage affect his driving? For instance, is the chip or crack in the driver’s line of sight? If so, then a windshield repair is probably out of the question. 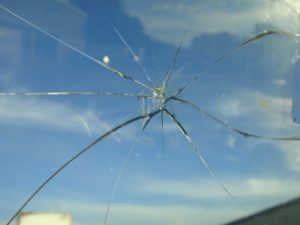 A car glass repair, even if the damage is small, will still leave behind a mark that will blur the driver’s visibility. In that case, a windshield replacement is the only option possible. It will ensure that the entire glass is removed and a new one installed to guarantee that the driver can see the road without anything in the way. The size of the damage should also be taken into consideration. If the damage is bigger than a dollar bill, then car glass replacement is necessary. A damage that big makes a car glass repair too difficult. On the other hand, if the damage is smaller or is as big as a dollar bill, things change. Another way to see if the damaged windshield needs a repaired or a replacement is to figure out the location of the damage. 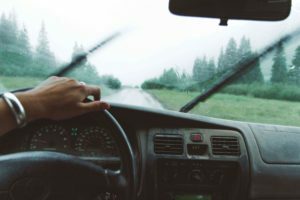 Other than the chip or crack being in the line of sight of the driver, if the damage is in the corner of the windshield, that is an indication that the entire glass needs a replacement. The reason for this is the fact that a damage in the corner can cause the windshield to break or shatter. Thus, a windshield repair for this issue is not an option. These factors shape the type of car glass repair you will need. A car glass repair is always as unique as the damage. Knowing what kind of damage your car glass has will help you determine how the repair will be done. Call Car Glass Repair El Cajon for your repair or replacement. 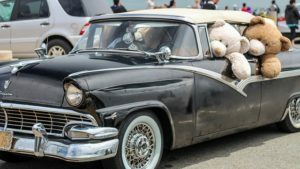 This entry was posted in Uncategorized and tagged Auto glass repair, auto glass repair el cajon, mobile windshield repair, Power window repair, Windshield repair San Diego on January 31, 2019 by admin. Car safety is important. Motor vehicle deaths are the major cause of death in the first three decades of an American’s life. 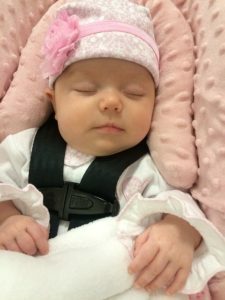 By wearing seat belts and buckling children into age and size appropriate car seats and booster seats, people can reduce the risk of serious injury and death by half. Most drivers do follow the safety measures but there are still millions who don’t. This is a primary enforcement for seat belt violations, which means that a driver can be pulled over and sited just for not wearing a seat belt. Certain strategies have been put in place to TRY to increase seat belt use. Laws have allowed officers to stop and ticket someone for not buckling up. Some states only allow officers to give tickets when they have pulled the driver over for something else. Increased penalties can be given resulting in higher fines or points on a driver’s license. High-visibility enforcement – Combining law enforcement and media coverage is effective for reaching people who don’t use seat belts regularly such as men, teens, and young adults. Programs are conducted at night to target people when seat belt use is the lowest and crashes are the highest. Child restraint laws require children riding in a car to use approved devices appropriate for their age. Effective programs can help advertise car seat and seat belt use. Distribution of car seats through giveaways or low cost rentals. Incentive programs with coupons or prizes reward parents for correctly using car seats. Among drivers and front-seat passengers, seat beltsreduce the risk of death by 45%, and cut the risk of serious injury by 50%. Seat belts prevent drivers and passengers from being ejected during a crash. People not wearinga seat belt are 30 times more likely to be ejected from a vehicle during a crash. Seat belts protect people from needless death and injury. People are in a hurry, distracted, and simply forget. Many people don’t wear their seat belts, and thousands die as a result. BE SAFE AND BUCKLE UP! For car safety and windshield repair, please call 7 Star Auto Glass in San Diego. This entry was posted in Uncategorized and tagged Car Safety, mobile windshield repair, wearing seat belts, windshield repair, Windshield repair San Diego, Windshield replacement, windshield wipers on January 17, 2019 by admin. After you get a new windshield installed, you want it to perform well. Here are tips what to do and what not to do in the days following a windshield replacement. Closely examine the installation. Look for gaps in the seal around your windshield. Make sure the gasket is correctly installed. Take your car for a test drive to listen for any air noise around the install. Our technicians will provide you a receipt when the installation is complete. Warranty information will be included. The first 24 hours is crucial for the success of your installation. Auto glass installation is fragile during this period. Try not to slam your doors. It’s a good idea to crack your door windows about 1/4 inch if you can to avoid pressure build-up. The first 24 hours is a good time for the gasket to seat and seal. Some car washes use cleaners or cleaning agents on the car during the first 3 days and those can damage the windshield seal. If the installers used a special tape to preserve the installation, do not remove for 24 hours. However, your installers probably told you that. As an added precaution, check your route to and from your office or other routes. Chances are, you windshield got damaged because of a random rock or road debris. If this is the case, you may want to take a different route if possible, avoiding construction areas or neighborhoods with road debris. The first 24 hours might be the most important. By being careful during that time, your windshield will perform like new. Need a new windshield. Let 7 Stars Auto Glass in San Diego install your new windshield. Our certified technicians will instruct you and the dos and don’ts for the first 24 hours. Call today. This entry was posted in Uncategorized and tagged Auto glass repair, auto glass repair el cajon, Power window repair, Windshield repair San Diego on January 4, 2019 by admin. Proper car maintenance of your car can be important for its long life and safe operation. Your tires are one of the most important parts of your car and checking the tire pressure is important. Regular care and maintenance are crucial to the safe and reliable performance of your vehicle. Many drivers may feel that they don’t have the time or money to address vehicle repairs immediately, but beware that ignoring some repairs can get you pulled over and even ticketed. While a vehicle is in operation, traffic laws require that certain equipment is properly installed and functioning correctly, including brakes, headlights, turn signals, mirrors, windshields and safety belts, to name a few. The Car Care Council recommends that drivers address these repairs right away as they present public safety concerns that can earn drivers a traffic ticket on top of a repair bill. • Non-functioning turn signals and headlights or taillights that are cracked or broken. Most states require vehicles to have functioning turn signals as well as two functioning headlights and taillights. Taillights must illuminate red; if a taillight is cracked, it can give off a white light, which is also typically a traffic violation. • Cracked windshield. If a windshield is cracked, discolored or tinted in a way that obstructs vision, drivers may get ticketed and fined. In some states, vehicle modifications, such as tinted windows, are prohibited. • License plates are unreadable. If the license plate light is out or if the plate is otherwise unreadable, drivers may be pulled over. In some states this includes clear or tinted plastic license plate covers. • Loud exhaust system. A defective exhaust system that is too loud, either because it has been modified or because it needs repairs, can be cause for a ticket. What is considered loud depends on the state. 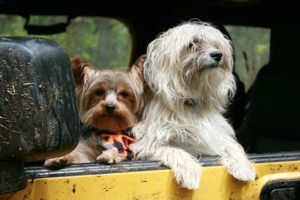 Many states also require periodic vehicle safety inspections. For an overview by state, visit https://drivinglaws.aaa.com/tag/safety-inspection/. A clean windshield helps accomplish a couple of great things. Thus, it is a wise idea to wash your windshield inside and out as often as you can. Be sure to rely on a windshield cleaner and a microfiber cloth for the job. You will have an immaculate, clear windshield and stay safe on the road with this fantastic car care tip. Frequently filling up on windshield washer fluid can help you maintain your windshield’s cleanliness. Plus, the less dirty your windshield is, the less sun glares you will have. This way, you can stay safe on the road. Additionally, this car care tip is great for preserving your car’s value. A lot of drivers do not know that washing their cars under the heat can leave behind watermarks and stains. Not only is this an unappealing sight, but it is also terrible for your car’s health. Stains can create glares on your windshield as well as leave behind scratches. Similarly, stains can cause your car paint to dull in color. Thus, it is best to wash your car when the sun is not sharp. A lot of drivers wash their cars with a sponge and dry them with a towel. It should be noted that that is a terrible thing to do. Sponges and towels can scratch the paint and glass over there. As a result, it is not a good idea to use them. Instead, swap them with microfiber cloths. They are gentle and safe on auto glass and car paint. This last car care tip is amazing! Clean your car’s headlights with a baking soda and vinegar mixture. This mixture eats away at the hazy dirt blocking the lights. In a few minutes, you will have shiny headlights as if you had just purchased your car. Maintaining your car is crucial for its safety. With these five amazing car care tips, you will keep your car in tiptop shape and have total comfort. This entry was posted in Uncategorized and tagged Auto glass repair, Car Care, car glass repair, Car Safety, Windshield repair San Diego on December 20, 2018 by admin.